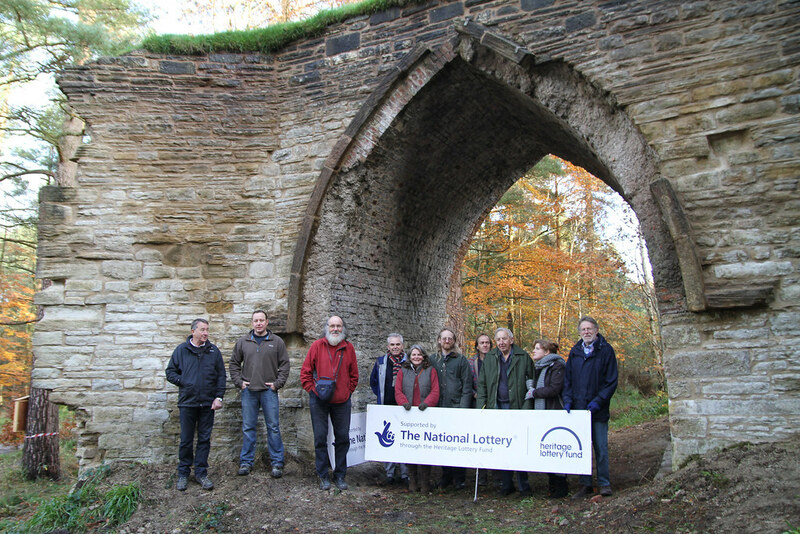 Inspired by two gothic arches, ruins of the 17th century Dukesfield smelt mill in Hexhamshire, this project links the North Pennines lead mines with early industrial Tyneside. By conserving the arches, transcribing archives and uncovering family histories, volunteers share the stories of the smelters and carriers who fired the furnaces and crossed the moors. The steering group is made up of a dedicated band of volunteers who have donated their time, expertise and enthusiasm to making this project so enjoyable and eclectic. Volunteer and Event Co-ordination & Learning = Mandy Roberts. Local people have long been intrigued by the elegant arches at Dukesfield, speculating about their origins and evocative presence. In 2011/12 the two local parish councils teamed up with the Friends of the North Pennines charity to develop a plan and seek funding. 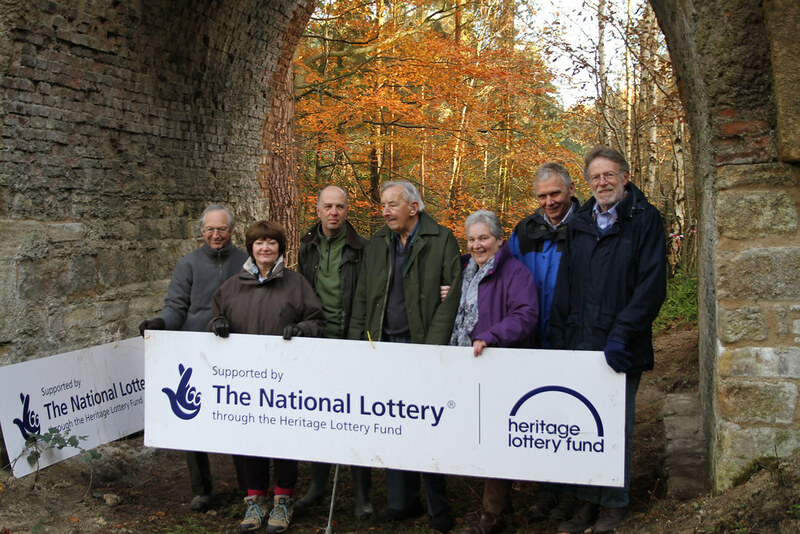 A development grant was awarded by the Heritage Lottery Fund in 2012 and a full Heritage Grant in early 2013, alongside smaller grants from funders to research and celebrate the history of this Grade 2 listed gothic structure, and the regional industry it was an important part of. Between 2013 and 2015 artists, archivists, archaeologists and architects all worked alongside volunteers, interpreters and educators to conserve and reveal the past of this now tranquil place, once the hub of the North East’s thriving lead and silver industry. 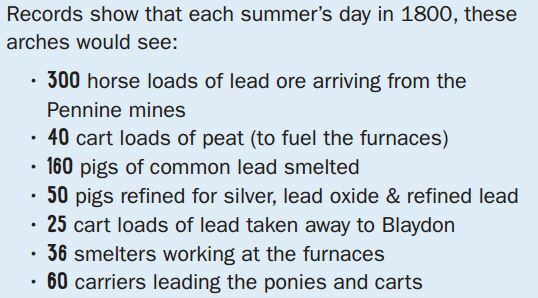 In the 17th, 18th and early 19th centuries, carriers walked laden pack ponies over the moors bringing metal ores from the Pennine mines. After smelting at Dukesfield, they then followed the Lead Road, along the ridge through Leadgate and Coalburns, to the waiting ships on the River Tyne at Blaydon. The site closed in 1835 and production moved elsewhere. The mill was dismantled and the arches and chimneys were left to decay.